“England is home to hundreds of minorities, ethnicities and religious groups for many years. Nonetheless, reports by Freemuslim indicate a rise in hate crime and sectarianism across Europe. 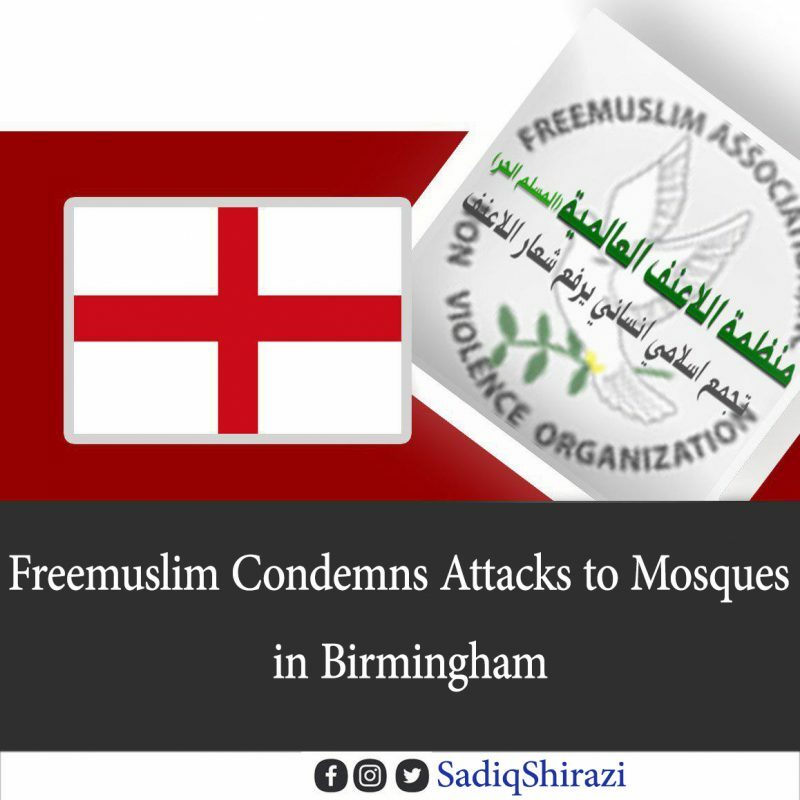 Attacks to five Mosques in Birmingham, in which unknown people threw stones at Mosques and shattered the windows of Muslims places of worship are also an indicate to these reports. At this point, Freemuslim advises minority leaders to be in contact with the law enforcement and cooperate with police to prevent such attacks. We believe that measures should be taken in order to internalize peaceful coexistence and nonviolence in all communities.